High-volume and multifamily spots are available at the tech strategy event for homebuilders. 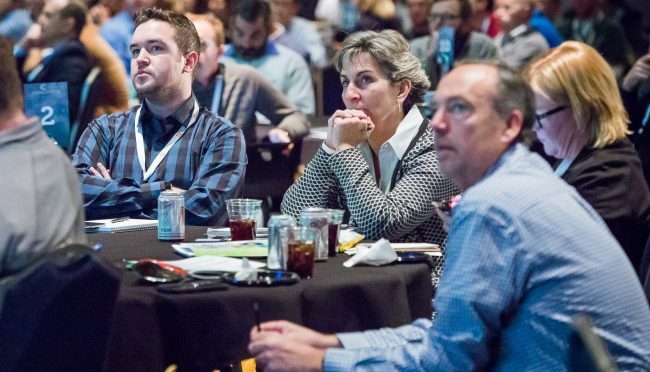 Time is running out to be a hosted guest at this year’s TecHome Builder Summit, taking place Dec. 4-6 at the Phoenix Convention Center in Phoenix, Ariz. There are a limited number of last-minute slots available for qualified high-volume and multifamily builders. The executive-level event will host more than 100 high-volume builders, more than 50 multifamily builders and more than 70 custom luxury builders for 2.5 days of idea and best practice sharing, market information and high-quality engagements with sponsoring companies. Homebuilders will learn how to leverage home technology amenities to sell more homes, increase per home revenue and realize higher levels of customer satisfaction. Past TecHome Builder Summit guests have recognized the value of the event, and it keeps them coming back. As part of being a hosted VIP, guests are treated to complimentary airfare, hotel, food, beverage and event access. If you are interested in joining the program, contact Kaleigh Barrasso now at kaleigh@ae-ventures.com.